How about some health in a glass? All you need is some fruit and veggies. Yes, there have been multiple health drinks in the past but none that can work as flawlessly as the Miracle Drink! Wondering what the Miracle Drink is and how it can benefit you? Then you must read this post! Have you heard about ABC, also known as the Miracle Drink? If you have not, it is time that you learned more about it. 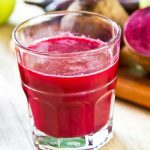 It is called ABC because of the three ingredients – Apple, Beetroot, and Carrot, and it is making waves as a cancer-fighting drink. It was initially introduced by a Chinese herbalist to treat lung cancer and other diseases. Presently, it has gained a lot of attention for its magic like properties that benefit the body and brain. Get one large juicy apple, carrot, and beetroot. Wash them clean to remove any dirt. Chop them up into little pieces, without peeling. Add them into a blender or juicer. Pour in the cold water to help the blending process. Pass the pulpy mix through a strainer. Serve in a glass with a generous squeeze of fresh lemon or a tablespoon of honey. Keep consuming the Miracle Drink on a daily basis at least once a day. It works best on an empty stomach. So drink it about an hour before having your breakfast in the mornings. If you like, you can have it in the evening as well, but make sure it’s on an empty stomach. The health benefits of the Miracle Drink show up slow but are very effective. In some cases, it may take only two weeks to a month for the results to appear. However, for others it may take at least three months. It works the same way any health supplement does, but costs way less and provides a lot more. What’s The Miracle Of The ABC Miracle Drink? The Miracle Drink is a healthy cocktail of vitamins and minerals the body needs to repair itself and grow. Each component adds to the nutritional value of the drink on its own – you simply have apple juice, beet juice, and carrot juice. But together you have a power concoction of vitamins – A, B1, B2, B6, C, E and K, plus minerals like folate, zinc, copper, iron, calcium, potassium, phosphorous, magnesium, niacin, sodium and manganese. The goodness of vitamins A, B-complex, C, E and K help you look and feel younger than you really are. The dietary fibers and minerals also help improve basic bodily functions and rejuvenate the body and its vital organs. Have you tried all the treatments out there to cure your dreadful acne, but none of them seem to work? Don’t worry because with the regular consumption of the Miracle Drink you can improve your complexion. The Miracle Drink flushes out toxins and chemical causing acne, blackheads, and blemishes. It leaves the skin with a healthy glow and natural, rosy blush. So you can put away the makeup and throw away all those chemical products, as you enjoy a more natural and lighter look. Your delicate eyes experience a lot of stress and strain all day, especially if your work involves the use of computers. This can affect the strength of your eye muscles, tire your eyes, and even dry them. Drinking a glass full of this wondrous juice will provide your body with vitamin A, which is essential for enhancing vision. It also helps improve the strength of ciliary muscles, which help change the focal length of the eye lens.The ABC Miracle Drink soothes and relaxes tired eyes too. As a result of these benefits, you can maintain good vision. This nutrition enriched drink is capable of enhancing nerve connections for faster response. It also improves a person’s attention span, memory and concentration levels. As a result, you will be able to think faster and work better in all the activities and tasks you choose to take up. The liver processes protein and stores energy, the heart pumps blood to the rest of the body, and the kidneys cleanse the system. All of the organs in our body have a role to play, which take care of the entire body, and hence, you need to take care of them too. With the help of the Miracle Drink, you can do just that. The alpha and beta carotene form the star ingredients that detoxify the liver, maintain blood pressure levels, control cholesterol, assist digestion and keep the body feeling active and fit. This prevents heart diseases, the formation of ulcers, chronic constipation, liver diseases and kidney problems. With a strong immunity you can battle common diseases like the flu, anemia, and even asthma. For better immunity, you need a good white blood cell count and a boost in your hemoglobin. Continuous intake of the miraculous apple, beetroot and carrot combination can improve your body’s production of white blood cells and hemoglobin, giving you better results when treating the disease. The Miracle Drink also can reduce body odor, bad breath, throat infections and toughen up your lungs. Cancer is a disease that results in an uncontrollable growth of cells. There isn’t any real proof of the Miracle Drink being able to cure cancer. However, it has been able to slow down the growth of cancerous cells. There was a case of a patient recovering from lung cancer after being instructed by a Chinese herbalist to drink the miracle juice. But the effectiveness of this precious elixir depends on the stage of cancer you are at. How Does The Miracle Drink Fight Cancer? 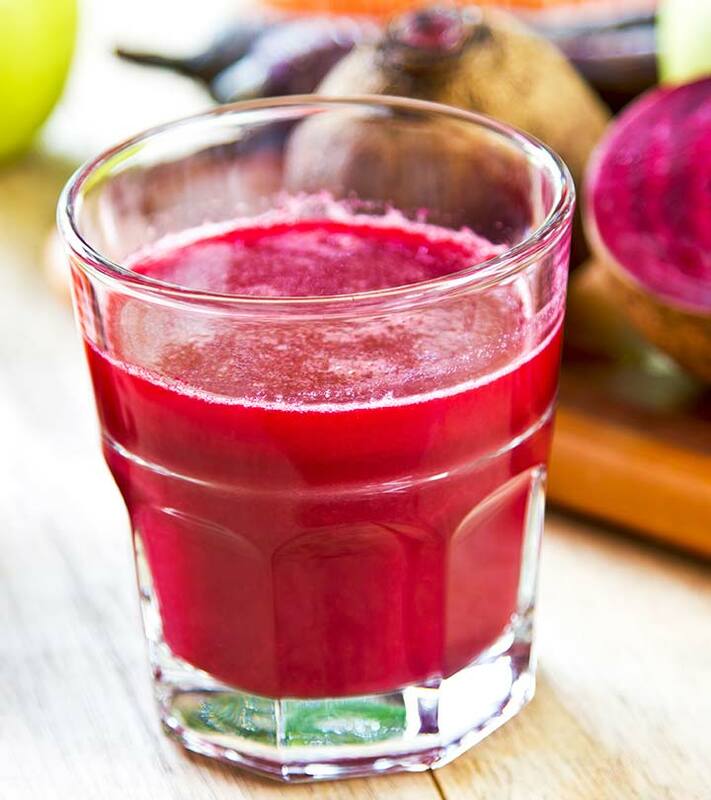 The main ingredient of this juice that fights cancer is beetroot. In fact, this vegetable has been used a cancer treatment (1) for centuries in Europe. Research has found that beets contain a flavonoid known as betazyane that inhibits the growth of tumors and increases the intake of oxygen within the cells. This, in turn, protects the levels of Vitamin C, which is another nutrient that effectively fights cancer. Beetroot juice is also rich in iron (2). This helps in the regeneration of red blood corpuscles that supply more oxygen to cancer cells. When the oxygen content is increased, it helps in improving cellular respiration, which in turn helps in destroying cancer cells. Making ABC is as simple as its name! All you need is apples, beetroots, and carrots. First, make sure that the three ingredients are thoroughly washed and cleaned. Slice them into small pieces. Do not peel them as a majority of the goodness of these foods is contained in their peels. Blend them in a juicer and add a small amount of water to improve its consistency, making it easier to drink. If you like, you can add a tablespoon of honey or fresh lemon juice to improve its taste. Miracle drink for weight loss? Yes, this Miracle Drink is a great addition to your weight loss diet. It has a limited amount of calories and is refreshing after an exhausting workout. It pumps the body with energy without resulting in weight gain. It detoxifies your body and prevents constipation by promoting regular bowel movements. It helps in improving bad breath that is caused by indigestion. This drink works miracle against all sort of throat infections. It helps in eliminating muscle aches and pain that come with physical training and exercise. Since it detoxifies the body and promotes regular bowel movement, it has wonderful benefits for your skin, including preventing and curing acne and making your skin radiant with health. It is also known to help in reducing menstrual pain. As you can see, drinking this cancer curing miracle drink has many wonderful benefits. Since it is all-natural and does not contain any other ingredients, it does not cause any adverse side effects. So, do not wait any longer and make this delicious and nutritious juice a part of your everyday diet!